When first published in 1959, Margery Sharp had initially intended The Rescuers for adult readers like her other novels. 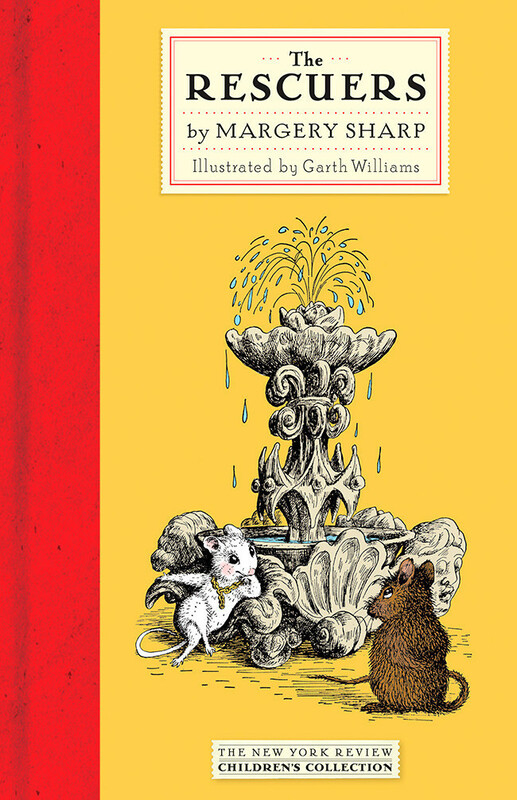 But ever since its release with illustrations by Garth Williams (Charlotte's Web) it has been increasingly popular with children. Sharp eventually went on to write 8 more books in the series about these mice and their adventures. 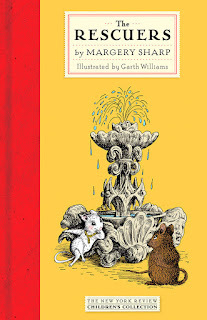 At first glance, this book definitely appears to be a children's book; the New York Review Children's Collection edition from 2011 features Williams' illustrations every fifth page or so. But the themes in this book are overarchingly adult. For those familiar with either of the Disney films inspired by Sharp's novels, be assured that we are talking about a very different story here - there is no Madame Medusa or McLeach in sight. Rather, the primary antagonist is much darker - an anonymous government that has imprisoned (for reasons suspiciously unknown) a Norwegian poet in the deepest dungeon of an impenetrable prison ominously named Black Castle. The Prisoners' Aid Society (in the films, the Rescue Aid Society) is much the same but, as the name might indicate, has a focus on the incarcerated. The constant presence of emotionally hopeless poetry throughout the book is probably a bit much for kids. Miss Bianca's torn feelings of whether to continue her life as a pampered pet or resolve to teach drawing to bring in money as the wife of a pantry mouse are positively mature. And the invisible and oppressing government (physically embodied only briefly by a literal fat cat) is a bit abstract for younger readers. But this miniature fantasy is charming, full of bravery and heart - and even a bit of grown-up reality. I now find myself facing a curious perspective: Yes, more often than not, the book is better than the film - you'll hear that all the time from professional and amateur critics alike. Even though I have a deep and unflinching love of both films (yes, both) and I still cannot help but have that feeling. Sure, the stories are quite different, but Sharp's witticisms and daring characters now seem to exist beyond the page in name only: here, Bernard is braver, Bianca is humbler, the situation seems fraught with more danger than even the films can portray, and the sweet, neat, comfortably-tied-up endings are nowhere to be found.